Now you can add a bathroom anywhere you need one. This Saniflo Sanibest Pro grinder pump allows you to install a complete bathroom up to 25 feet below the sewer line, or even up to 150 feet away from a soil stack. 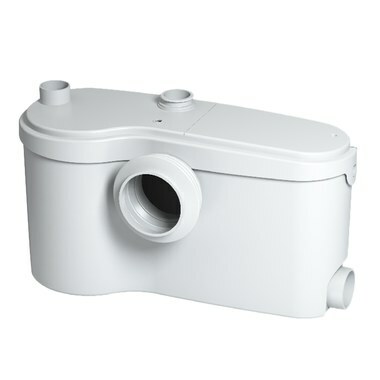 Pumps away the effluent from a toilet, sink, bathtub/shower, and washing machine (indirect connection). The Sanibest Pro incorporates an actual grinder system, so it can handle the accidental flushing of sanitary items. Using a 1 HP motor, it can grind up items such as sanitary napkins, Q-tips, dental floss, etc. The finely ground particles can then be pumped out through a standard pipe, making it perfect for locations such as rental properties and office units where you can't control what's being flushed. Simple to install, the grinder pump requires just four connections: the grinder to the horizontal spigot of a rear-discharge toilet, the toilet tank to the water supply, the pump to a small diameter discharge pipe, and the pump to the electrical power supply. 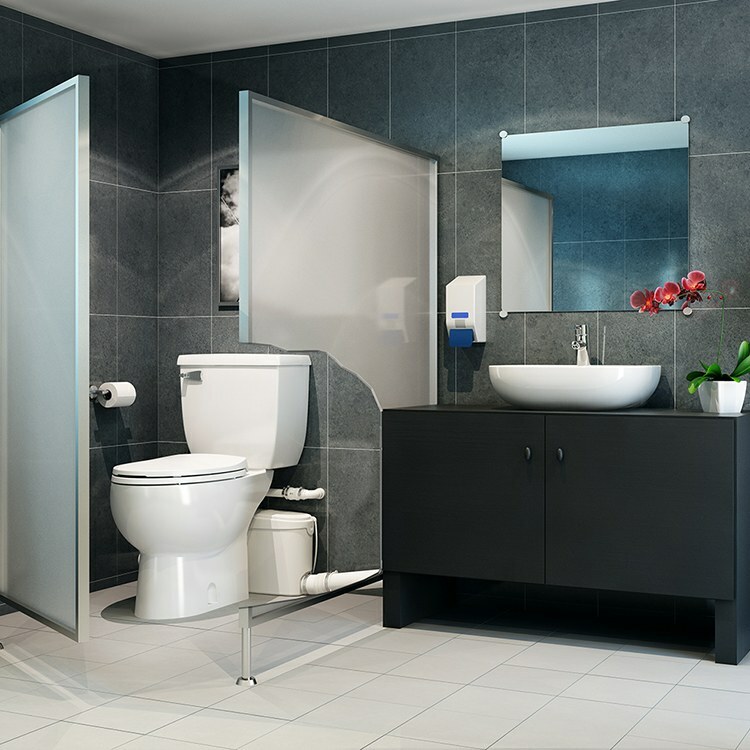 The Sanibest Pro is designed to work with the Saniflo rear-outlet toilets. My Sanibest grinder pump makes a lot of noise. Is this normal? 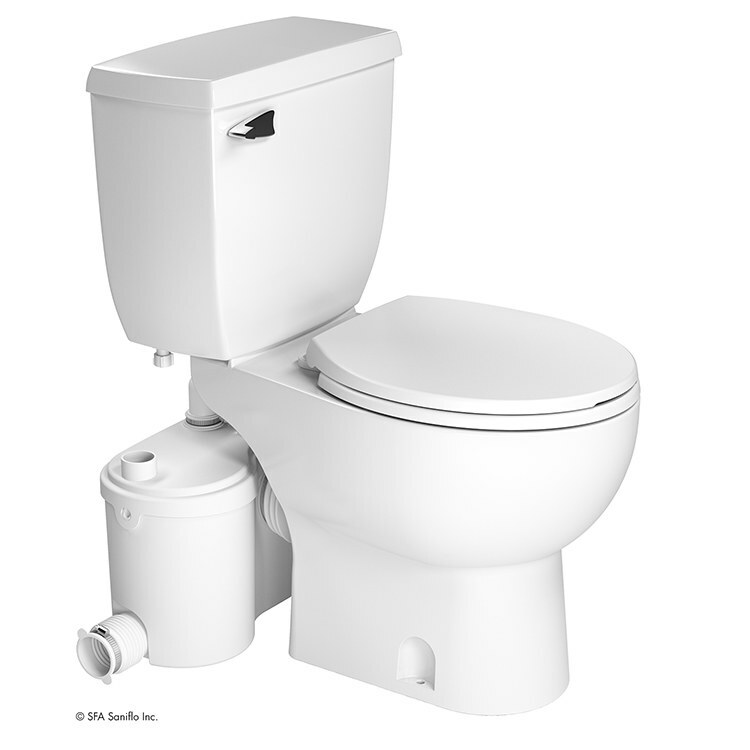 The Saniflo 013 Sanibest Pro Grinder Pump for Rear Outlet Toilets is not known for being quiet.